Security cameras (systems) are a huge must for hotels, motels, resorts and other paid lodging. The importance of CCTV security cameras in hotels, inns, lodges, etc., is increasing as hotel crimes are on the rise. According to NYPD data, hotel and motel crime grew by 19.3% between 2011 and 2015. If you are a guest at a hotel, your personal security is definitely your priority, since hotel crimes are not rare anymore. Besides, you would also care about your privacy when living in a hotel/inn room, since CCTV news has told you that some hotel/rooms had hidden security cameras. If you are a hotel owner or a manager, ensuring everything going right is definitely one of your major responsibilities. Check the below main titles to get what exactly you want. Check the answers below for some typical questions concerning hotel security cameras. 1. Are There Security Cameras Allowed in Hotel Rooms? Do hotel rooms have security cameras? Do they have security cameras in hotel rooms? Are there hidden cameras in Indian hotel rooms? According to hotel security camera laws, hotel room surveillance is illegal. CCTV security cameras in hotel room are NOT allowed. Installing security cameras in hotel rooms is a serious privacy violation. Security cameras are legal when being mounted or installed in public areas, such as, lobbies, elevators, receptions, etc. 2. Are There Security Cameras in Hotel Hallways? Do hotels have security cameras in the hallways or corridors? Nowadays, most hotels have management security camera systems to record and monitor the hallways. If hotels don’t have security cameras in the hallways, the entrances and stairwells will be covered by the “digital eyes”. 3. 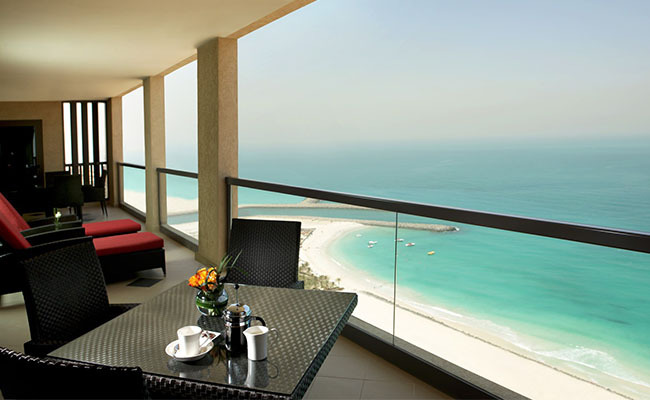 How to Check for Security Cameras in Hotel Rooms? How do I know whether hotel rooms have cameras or not? There are several simple ways can help you check if there are hidden cameras in the hotel rooms. Spot the unrecognized power socket. Security cameras need constant AC power to work (except those wire-free security cameras are battery-powered). Remember to check all the power sockets in your hotel room. If you don’t recognize any plugs attached to the socket, unplug them immediately. Check for LED lights. You can turn all the lights in your hotel room off and close the curtains. If you notice that there are lights blinking, there may be a security camera installed in your hotel room. Use a signal detector. It cannot be simpler to detect hidden security cameras with a signal detector. CCTV security cameras would produce what is called a balanced signal when they are on or in working status. Note: A balanced signal is a video signal that has been converted for transmission along a medium other than coaxial cable. CCTV IP security cameras (systems) would transmit higher energy radiation in their specified range. Thus you can use a signal detector to figure out whether there is an IP surveillance camera in your hotel room. It’s also one of the most simple and effective ways to tell if a security camera is on. If you notice there are any hotel video security cameras (systems) in your hotel room, including Airbnb rental rooms, report it to the police at once. 4. How Long Do Hotels Keep Video Surveillance Tapes? There is no standard length of time that video surveillance recordings must be maintained in the hotel. Usually, hotel video recording tapes will be kept about 30 — 90 days. However, some regulations require that the recordings of the hotel security cameras in the casino need to be stored for 6 months or 1 year. If you rent an Airbnb room for like 15 days for your business trip, it’s nice to have a security camera watch your valuables stored in the hotel room. Thus you can check whether the cleaners (or staff of hotel services) steal your valuables, or if thieves sneak into your hotel/motel room to steal your laptop and other valuables. Bump: Before you decide which kind of security camera you would go for your hotel room, please check the local legislations to see whether it’s legal to have your own security cameras in your hotel room. Security cameras with the above features are ideal for your hotel room security as well as your valuables security. A complete security camera with system, with multiple IP video cameras and a NVR is definitely a “Hulk” for you to go for business in other cities or countries. Small IP cameras are ideal for you. Below are some good recommendations of hotel security cameras that can meet the above features. This camera is a wire-free battery-powered security camera. It’s only about 4.4 inches long, which is pretty easy for you to carry. One of the most outstanding features is that you can view what’s going on in your hotel room with your smartphones anywhere anytime. If there is someone unwanted breaking into your hotel room, this security camera will detect the motion event and send instant app push notifications to your iPhone or Android smartphones. It can also capture the images of the thief, send them to you via email, save and upload to an FTP server. Thus you can keep these images as evidence. 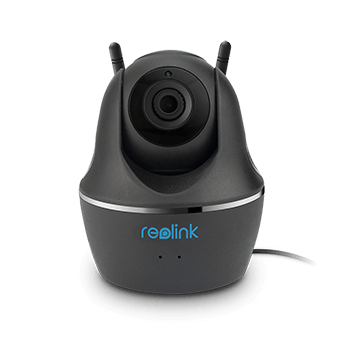 Plus one thing, Reolink Argus® 2 is 1080p Full HD, which is enough for you to view everything very clearly in your hotel room. 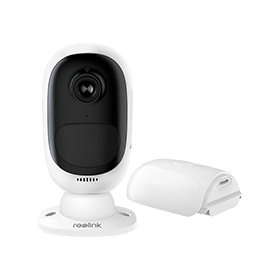 Reolink Go security camera takes the wireless aspect to the next level by adding cellular connectivity, so that you can get remote viewing even without WiFi connection and power cords. 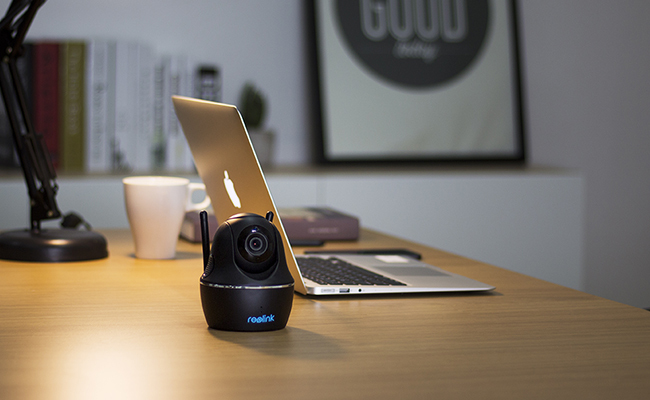 You can place this wire-free 4G security camera in your hotel room during your absence. With its 1080p Full HD and starlight night vision, you can get super clear images both day and night. You can get more details of Reolink Go in the below video. This is a little wireless IP security camera that’s suitable for you to put in your hotel room. Unlike the newest totally wire-free type, you need to use a cable to power this camera. This wireless security camera is equipped with all of the required features (listed above) but offers you more. 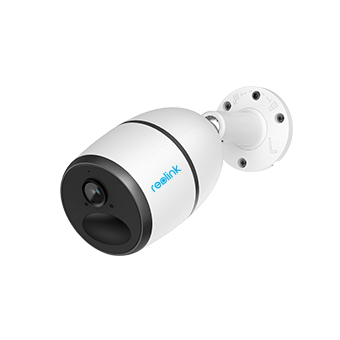 This camera offers 1440p Super HD and powerful pan tilt scanning, which ensures that you can view things extremely clearly without close to the object. If a person invades your hotel room, you can recognize him or her easily. As a hotel/motel owner or manager, ensuring the security of your staff and guests definitely tops in your agenda. Hotel CCTV security cameras (systems) can keep your guests and staff safe from theft and other crimes by helping you track your visitors and prevent break-ins in your hotel. It’s also a useful way to prevent employee theft. One of the main purposes of hotel IP CCTV security cameras is that they are really helpful to stop possible criminals breaking in your hotel or robbing/stealing from guests. In some cases, just the fear of being recorded is often enough to dissuade criminals from targeting your hotel/motel. Another important reason to install security cameras (systems) in your hotel is that they can record evidences or clues for police to investigate cases if crimes happen. For example, Cecil hotel security cameras in the elevator recorded Elisa Lam’s strange actions, which would be a helpful clue for the police. For covering multiple areas of your hotel and managing your hotel security cameras (systems) conveniently and easily, you should install complete security camera systems for your hotel. Here is one popular security camera system that can meet your requirements. 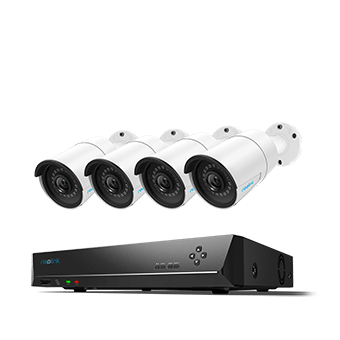 This PoE IP security camera system has four 4MP/5MP Super HD IP cameras and 1 NVR. You can add 4 more PoE cameras to this systems based on your owner needs. With multiple IP cameras installed in public positions, you can view almost every corner on your smartphone, PC, Mac, etc. Videos will be recorded to the NVR, which ensures that you won’t miss important things. If a break-in happed in your hotel, you can review the recorded footage to check the criminal and catch the bad guy with the help of police. Hotel crime is now increasing, including hotel room robbery, hotel drugs, break-ins, theft, etc. More and more hotels, such as Marriott Hotel and Mayflower Hotel, choose to install more security cameras to record 24/7 in case of missing any important things. Your hotel security should be your NO.1 concern. However, under no circumstances should you install CCTV security cameras in hotel rooms, dress rooms, rest rooms and other private areas. Understanding the surveillance in the public areas and the privacy can help you get rid of unnecessary potential troubles in a long run. This entry was posted in Buyer's Guide and tagged guests, hotel cameras, owners, portable cameras, privacy. I am doing some research on common designs of CCTV networks. My most important question is popularity of wireless cameras, vs wired ones (connected directly to DVR/NVR). Specifically, I am interested in the hospitality (hotels) and restaurants verticals. Do you happen to know how popular wireless CCTV cameras in the hotels business? Where could I find some references? Hello Arick, almost every hotel would install security cameras in the hallways and other public places. Does this camera show the image in color? Can I install it to record the sunrise and broadcast this image on Facebook, youtube 24 hours a day ??? How much does this camera cost? Hello Alexander, may I know which security camera you are interested in for doing a live broadcast?